Bachelor of Engineering (Chemical Engineering) 2016. Sidharth graduated from Curtin University in 2016 with a Bachelor (Hons) in Chemical Engineering. 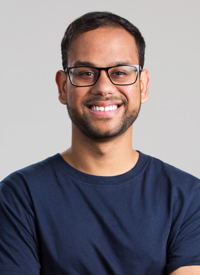 Sidharth has been actively involved in University programs such as the John Curtin Leadership Academy, Curtin Volunteers, Australian Indigenous Mentoring Experience (AIME) and Engineers Without Borders. He has also been the recipient of numerous scholarships such as the New Colombo Plan and the Leadership Excellence Accelerating Potential (LEAP) Scholarship in the United States. As an active member of the community, Sidharth has been focused on promoting Humanitarian Engineering in developing countries. He has travelled to Cambodia as part of the Engineers Without Borders Design Summit to learn about ways of using sustainability and technology to grow communities.